When the unfortunate time comes when you notice a rock chip in your windshield the best thing to do is get it repaired before it spreads. Auto Glass of Lewisville offers free mobile windshield repair in Plano, Flower Mound, Garland, and the surrounding metro area. It’s really not expensive to save that cracked or chipped windshield. cases can provide the service at no charge to the customer. The reason for this is because insurance companies would prefer to pay for a windshield glass chip repair then perhaps an auto glass replacement. Another bonus from having your insurance company take care of the bill is that the deductible is waived in most cases. Most people in Lewisville, TX own an automobile, and most also prefer to save money when the opportunity presents itself. 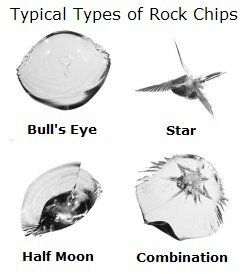 The best thing to do when you notice a rock chip in your windshield is to get it repaired as soon as possible. The reason for this is because that harmless little rock chip can start to show its ugly self when the chance arrives. A change in climate, driving over a speed bump or shutting the car door are all possibilities of that harmless little rock chip on your windshield turning into you needing a full-fledged auto glass replacement. So to prevent this happening to your family we suggest you call Auto Glass of Lewisville at 214-865-6058 as soon as you notice that chipped windshield. Why Should I Repair my Windshield Glass? One of the most important reasons for windshield glass repair is safety. If not properly taken care of it can easily turn into a windshield crack. If this happens your going to need auto glass replacement, which will end up costing possibly hundreds more. Not to mention sacrificing the support of your frame that the windshield provides. So let’s have a quick break down on some of the benefits of why I should repair my windshield glass. To top off all the wonderful benefits listed above, we also provide our auto glass technicians with top of the line training and equipment to tackle any glass job thrown our way. All our techs have a minimum of 12 years of experience. Auto Glass of Lewisville also guarantees all our glass repairs or window installations to prove to the customer we have the expertise to handle any glass job. When you decide to use Auto Glass of Lewisville asks about our free mobile auto glass service. 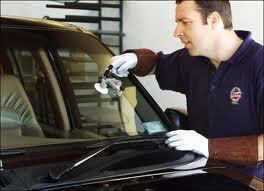 We will be more than happy to send one of our skilled auto glass techs to your home or office. Our professional customer service will be happy to answer any questions you may have or schedule that mobile windshield repair to fix that chip, star, or small crack on your automobile windshield. If you prefer to send a windshield quote through email click here.